Well, the Full Moons seem to be what stirs the pot here near the End Of The World As We Know It, as 2012 is wont to be known. Last month’s was “horrendous,” and this month’s looks very much like the Birdcage we frequently write about. The Full Moon itself opposes Saturn, so focusing on what’s most important is certainly a highlight – for too many on the US East Coast that looks like Survival itself. Many getting reduced to Sustenance by executive order rather than by choice. That makes Sun-Saturn this week’s corner of the ongoing Water (Emotional) Grand Trine, along with the New Paradigm (Chiron-Neptune) and Ceres. Folks in the throes probably won’t take kindly to this, but the Grand Trine does imply that, looking back, they’ll find the disruption to have been a boon. A Cardinal (Creative) Grand Cross has returned, joining the Grand Trine on the Ceres Corner; Ceres Opposite Pluto Square Venus Opposite Uranus, Venus early in Libra. Kinda like enforced collaboration, with Venus (Beauty) in Libra (Cooperation) tying together all that Mandatory Soul Mission (Uranus-Pluto) and Sustenance (Ceres) stuff. But we also have two big Golden Rectangles (More Grace) and an Almost-Grand Sextile, so our traumas should be well-compensated. Let’s focus on the Almost-Grand Sextile. A Grand Sextile is two Grand Trines spaced two signs apart, or six planets equally spaced around the Zodiac. Since a Sextile represents Creative Grace, a Grand Sextile is pretty special. This on is in the Magnetic Signs (Earth and Water). For review, when we bifurcate the Signs we get Magnetic and Dynamic (Fire and Air), when we trifurcate the Signs we get Creative, Stabilizing and Changing (or, in the vernacular, Cardinal, Fixed and Mutable), and when we divide them in four we get Fire, Earth, Air, and Water. Now an Almost Pattern or Configuration is in many ways better than a complete Pattern, because in an Almost-Pattern we have to contribute, we get to co-create, rather than just sit and watch. In the case of an Almost Grand Sextile, we have five of the six requisite planets aligned into the Pattern, and the sixth is what we call a Vacancy – an if only there was a planet there place. The Vacancy rules the Almost-Pattern, because it’s where we have to get involved. The Vacancy here is 6 degrees of Virgo, “A merry-go-round.” Rudhyar’s short interpretation is “The first experience of the dynamic intensity of life processes and of the possibility of using them to reach a characteristic ego-satisfaction.” Sounds appropriate to my experience of the last few days (befuddlement wouldn’t be too far from the mark – I was thinking it might be those new EFAs I was trying out, but I do get dizzy on merry-go-rounds), and certainly mirrors the enforced collaboration theme. With Mars Conjoining Juno opposite Jupiter, having an arena in which to exert and assert one’s skills (such as Search and Rescue) would be important, especially to ego-satisfaction. Considering the way the whole chart falls together, I’m gonna say that we have been for the last several days and will be for the next several weeks learning a great deal about the role of Sustenance in the New Paradigm. Coupla New York Tea Partiers may even have learned, to the dismay of the Koch Bros, that paying people to be firemen isn’t such a bad idea after all. As is always the case, the Quincunxes in the chart are telling. Quincunxes (two planets five signs apart) indicate where Curiosity reigns, Curiosity being the highest mental state we can achieve, because it indicates that we’re looking beyond the confines of our Birdcage (aka Limiting Beliefs) without Fear, innocently safe in our confidence that Sylvester is no match for our Vigilance and our Wings. Not that Gratitude isn’t right up there, but Gratitude is more emotional and less mental. One Quincunx is between Venus and Neptune. Neptune and not Chiron – Quincunxes have very narrow “Orb” (the degree of inaccuracy allowed). Neptune standing for our relationship to our culture, and Venus (in Libra) for our desire to be of assistance. The Quincunx part would come across as How can I help? It’s not about the New-Paradigm business (Chiron-Neptune), it’s about what’s constant between the Old and New (Neptune); namely, the realization that we really are all in this together. The second Q is between Sun and Uranus. 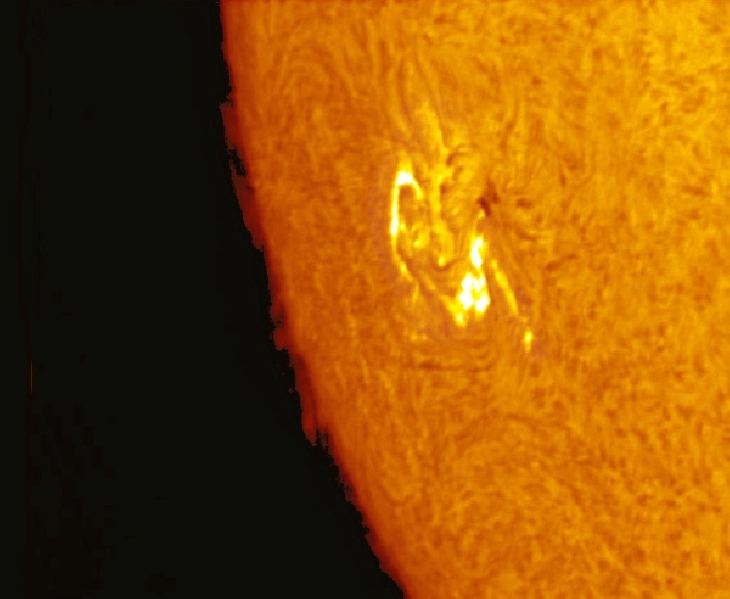 Sun and not Saturn. At Full Moon the Sun shines day and night, using the Moon as its proxy while it’s busy lighting up the other side of the Planet. So Full Moons are about coming out of a state of Denial. A Full-Moon Sun-Q-Uranus would be about how what I’ve been considering my shortcomings might actually be some of my greatest skills, I’ve just never been acknowledged about them, so their value has been invisible to me. Wouldn’t that be Curious. Saturn’s out of Orb for the Quincunx, so these realizations would be in contradistinction to our Focus on Survival. Vesta and Rahu (the Moon’s North Node, or the Dragon’s Head) form the third Quincunx. Curiosity about how our Mission (Rahu) actually serves what we consider to be Sacred (Vesta). How could it be otherwise! Yet we’ve been berating ourselves for focusing on our Mission when other things (keeping the lawn mowed, getting the kids to soccer) seem so much more important. Mercury (Awareness) sits on Rahu, but it’s out of Orb for the Q to Vesta. So we are gaining new intellectual insights into our Mission, but those stand just separate enough from our Curiosity about the Sanctity of our Mission that the contrast illuminates us all the more. Glorious Crystal Matrix – Soul Integrity Emerging into the Light! 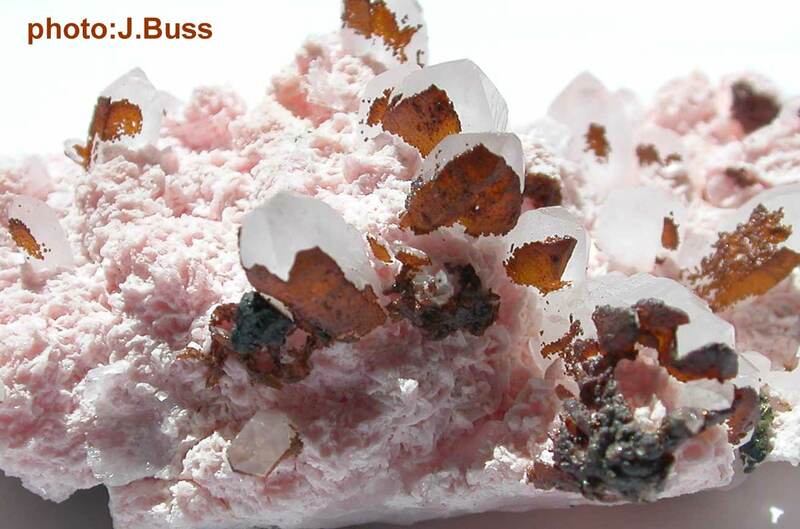 The emerging Crystals are Rock Quartz, our Pure Essence expressed in pure Silicon Dioxide. The coating they’re metamorphosing out of is Chalcopyrite, or Copper Iron Sulfide. 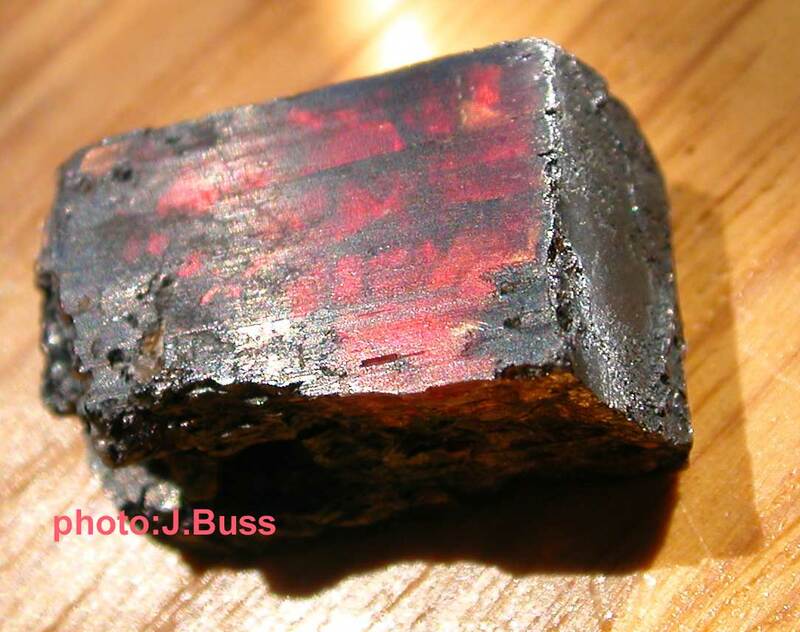 And the lovely Heart-colored field from which they emerge is Rhodochrosite, Manganese Carbonate. The Carbonate symbolizes our “Carbon-based life form,” the infrastructure of our current Incarnation, the “vessel” that Marko was describing. Manganese is the Heart, synthesizing the physical and the emotional into the compassionate essence of what we consider to actually be Human, apart from the psychopaths we “admire” because they seem to be invulnerable. Copper-Iron-Sulfide forms the protective but conductive shell that protects and grounds our egoicly-fragile, soft-skinned current-lifetime Form from the explosive energy just beyond the Veil while gently meting out information about our True Consciousness in doses small enough that our infrastructure can endure it. “The usual opinion is that the possibility of living and working on earth is a given, because we were born on the planet Earth. No thought is given to the fact that the reality of the form of a specific spatial dimension must be constantly maintained so it can operate as a vessel in which life can find the possibilities for multifold evolution. “To be more precise, by ‘vessel’ is meant the spatial structure through which the life processes can be brought to completion. We are looking at a specific cosmic pattern through which the living space is appropriately structured in every successive moment. If there were no such cosmic pattern, a general vibrational chaos would rule on earth and in the universe itself. You have to be seeing through the Veil (Neptune-Dragon) to grasp what he’s reviewing, but he’s talking about an ultimate level of Sustenance and Sustainability (Ceres). You know from elementary chemistry that “atoms” are mostly “empty” space (setting aside for the moment the knowledge that “atoms” are just metaphors for some unknown quantum that behaves more like a lightbeam half the time), and you’re told that the reason your chair doesn’t fall through the floor into all that empty space is cuzza all the electromagnetic and gravitational Energy that’s holding each atom together and allowing them to persistently cluster into chairs and floors. Well, if it’s all “just” Energy, what keeps it from morphing into waterfalls and dust bunnies on a whim? That’s the structure he’s referring to. You could consider it to be sustained by, basically, mass hypnosis. Look at it from the point of view of your five senses. Through those you’re limited to witnessing an infinitesimally small portion of the known Universe. Some of us can for better or worse feel the electricity coursing through the walls and the radio waves coursing through the air, and various specie of Solar Flairs, but not so many of us, especially when you count only those who are conscious of feeling those Energies. To the rest of us, we know electricity and radio only by the light and heat and sound they produce. It’s pretty disastrous for us when our Identity pixellates; what’s gonna happen when material reality pixellates? Four nurses in a government hospital in Costa Rica started to use meridian tapping behind closed doors. They called it a new kind of relaxation therapy, but after several months they were called by the physicians in the psychiatric unit, who asked them what they were doing. The doctors had become aware that the nurses patients no longer needed anxiety or sleep medication, and several of their patients were ready to be weaned off anti-depressants. So the nurses confessed that their new therapy combined EFT (Emotional Freedom Techniques) with Donna’s 5-Minute Daily Energy Routine. Even though it was considered quite strange, they were encouraged to go on with what they were doing. Now, four years later, they have been nicknamed The Magicians. They get referrals from throughout the hospital and are also frequently asked to help reduce the stress levels of their colleagues. 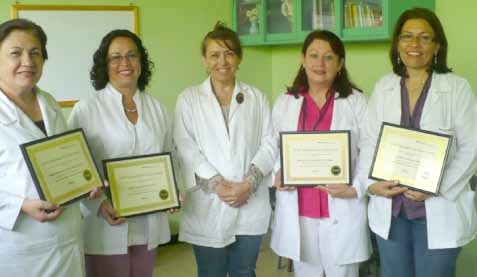 More than half of psychiatrist referrals now explicitly indicate “please apply EFT.” The four nurses recently received the “Spreading the Word” award from the Association for Comprehensive Energy Psychology. The dance between Jupiter (expanding) and Saturn (contracting) has a lot to do with our economic activities. If you think contraction is a bad word (or that expanding is dangerous), I can only refer you to Julie Henderson’s The Lover Within; her exercises with contracting (and condensing) will be heart-opening for you. We referred to the Jupiter-Saturn Cycle in Stress and Community, and from there linked to a more complete discussion. Here I just want to summarize it briefly, so we can see it in the context of the Ceres Events, the election, the demise of money, and the rest of the decade. It’d be great fun to examine history in this regard, but for now let’s just summarize quickly. Notice that the Earth-Element span corresponds, more or less, to the “Industrial Revolution,” when people were industrialized. Notice also that the IBM PC was introduced in 1980, while the “Dot-Com Boom” ended in 2000; the peak of the Dot-Com stock market bubble met the Jupiter-Saturn Conjunction almost to the day. So the period 2000 to 2020 is the span where the boons and bains of the Industrial Revolution are sorted, and Society decides which ones are keepers. Or maybe, the Elites decide which ones are keepers. Having the shoeple industrialized has been a great boon for the Lizards, much more profitable than when the shoeple were just their infantry. But now that functions are shifting from mechanical to digital and from software to hardware, economies of scale become parabolic (the first function-tailored chip costs millions, the next million cost pennies – consider digital cameras for instance), and the Elites don’t need nearly as many minions for either their infantry or their labor pool. Many of them have forgotten that they still need minions as customers for their shiny baubles, as their greed has overtaken their common sense. Once wealth becomes sufficiently redundant, you lose track of the connections. Fortunately, that’s a self-defeating process, as their subsequent generations have only entitlement and no sense of process. I always thought that since the machines were taking over for people, if one wanted to survive long-term, it would be good to own some of the machines. But the machines are cannibalizing themselves too quickly, as it takes a year or less for a machine to be obsolesced by it’s next iteration, and it’s a full-time job and then some to keep up. The stock market, which used to seem like a good proxy for owning some of the machines, has been eaten by digital greed. You could own land, till the Elites, masquerading as government, tax you off of it. You could be a landlord, till the people lose all of their income. The bottom line is that most of us common folk will end up as gleaners, unless we co-create something quite different from what the current trends have in store for us. The current and last Earth-Element Jupiter-Saturn Cycle just past it’s Phitile. The Phitile is the Golden Angle of Sacred Geometry, Phi, and it represents the place where a Cycle has culminated and begins to break down. So the next eight years of the current Cycle are about descending into the Void. Starhawk’s Truth or Dare, and Steven Levine’s Who Dies? are the two best sources I can recommend for understanding what that means. In Western Culture there is no simple metaphor for this process. If you’re Hindu, you just turn to Shiva, and you’re done with it. If you’re a Tibetan Buddhist, you just go sit onna corpse till you learn to enjoy the aroma. Not in the “West.” We dress our corpses to look like Avon Ladies. Now you know why we wrote about Ceres before we write about Jupiter-Saturn. One reasonable co-creation would be to reduce ourselves to sustenance sooner rather than later. That would put us in the position of having nothing to protect, which is where we need to be if we want to be clear about not enabling the Elites, since our Fear is their Food, and they’ve been systematically stoking our Fear since 2001; more on the Saturn-Pluto Cycle later. The 1/1/2000 chart was most of all the chart for 2000-2009, the decade. The chart for the century, yes, but more so for the decade. Sustainability (Ceres) came into visibility (Rising) in that chart, and the opportunity was there to turn the direction of history through political action. But it didn’t happen. Too many sheople, mostly Americans, worshipping money and power, and too many people enabling them. No Blame, I know you can’t do without that second SUV because you need to get the kids to soccer and piano because without that they won’t succeed at gaining power and money. They’ll end up gleaners. So spurning Sustainability we see the Sustenance side of Ceres instead, and the issue becomes Survival. Not that a Jupiter-Saturn Void is always dire; the 1932-40 Void scraped bottom, but the Chiron-Neptune and Chiron-Pluto Cycles were also in the Void then, so there was no ingenuity (Chiron) on the social (Neptune) or historical (Pluto) level to lift folks out of the mud. Now both of those Cycles are brand new, and the World is our Oyster (remember Flag becoming Eagle becoming Herald, and Fresh Violets in ancient pottery?). The Chiron-Uranus Cycle entered the Void late in the last century, and won’t emerge until the 2040s, so individuals (Uranus) are not spontaneously motivated to drop their old Trances for something entirely different (Chiron). We have to do that consciously. To do that, we need to drop our Karma. Give that a try – it’s not as hard as it used to be. So where do we go from here? In the Void, our best course is to go within. Replace Striving with Gratitude. Imagine the World you want to live in, and hold the vision. We’re entering the Age of Aquarius, an Air Age – that’ll amplify the coming two centuries of Air-Element Jupiter-Saturn Cycles. Air is about thinking. It does not know Compassion. Sympathy and understanding, harmony and trust abounding are nice sentiments, but Idealism and Idolatry are actually more Aquarian. The central pillar of the Olde Male Paradigm is Us Against Them; boys start training for that as soon as they’re handy enough to grasp an action figure. A central pillar of the Primordial Feminine is We’re All In This Together. That’s the Energy that emanates from those two Mandalas on a woman’s chest, and it fascinates men the same way a Moth is drawn to Flame. Thulite is a variety of Zoisite. Zoisite has several forms, and you probably know it better as Tanzanite or Anyolite (Ruby Zo). Eponymous Zoisite Crystals are usually a lovely shade of third-Chakra brown – there’s a stripe of it just left of center in the photo. Tanzanite Crystals change from fifth-Chakra blue to seventh-Chakra purple from one side of the Crystal to the other. The “Massive” (microcrystalline) Zoisite in Anyolite is usually a nice deep Heart-Chakra green, contrasting nicely with the bright Root-Chakra red of the Ruby. 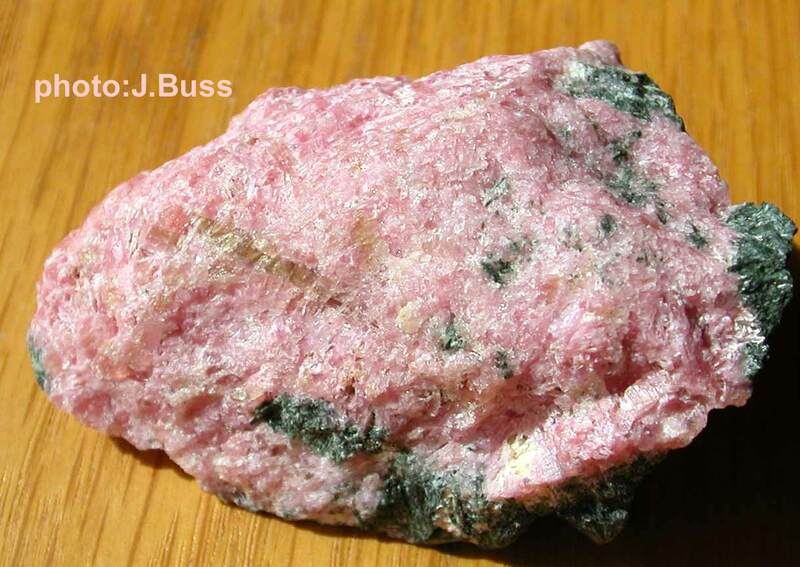 And Massive Thulite is one of a very few Stones that combines the two Heart-Chakra colors, pink and green. It would be a fabulous time to embrace Thulite. There is Great Grace available in the New Paradigm to those who Focus on what’s most important for Survival. That is, there is Great Grace (Grand Trine) available in the New Paradigm (Chiron-Neptune) to those who Focus on what’s most important (Saturn) for Survival (Ceres). Polarization: Grand Cross between Uranus, Pallas, Saturn and the Moon, which is to say, drawing the boundaries (Pallas) necessary to support self-expression (Uranus) by focusing on what’s important (Saturn) to each of us emotionally (Moon) – where what’s important emotionally may be comically inconsistent from day to day (Moon); hence slogans like Keep your government hands off my Medicare! Where in the Zodiac did this Grand Cross fall? Midpoints of the Fixed Signs, also known as the Four Horsemen of the Apocalypse. Massive Change: Chiron-Pluto. This Initiation was exact less than two days prior to the initiation of the New Century, a remarkable coincidence considering we’re talking about a 60-year Cycle. Sabian Symbol? “A Flag turns into an Eagle, which becomes a Rooster heralding Dawn” (12 Sagittarius). Like the 2010 Chiron-Neptune Initiation, the prior Cycle began during World War II. The Chiron-Pluto Cycle began just before the US entered the war; the Chiron-Neptune Initiated just as the Japanese surrendered. 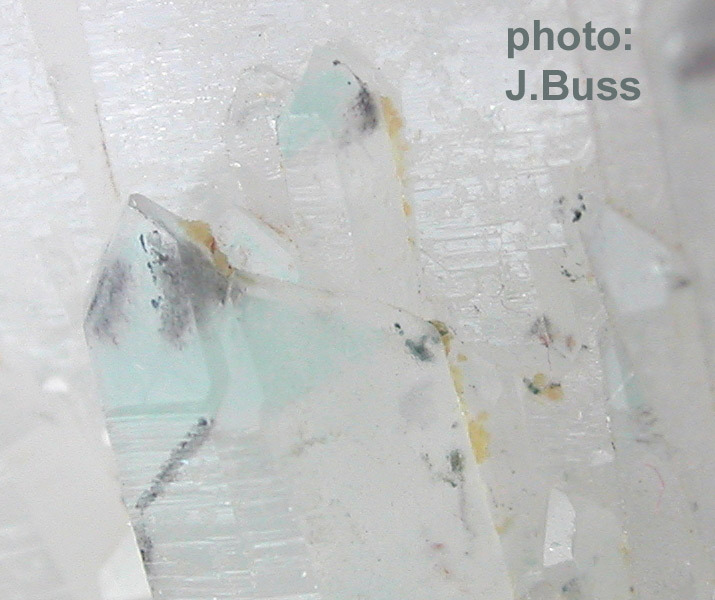 Ajoite is a Copper Aluminium Mica, here embedded within Elestial Quartz. Think of it as a Treasure hiding in plain sight, but subtle. And we’ll resummarize it soon. 2. The following is dense and overly erudite. If you want to venture into it, have your dictionary handy. But it’s an excellent example of the “Gender” inversion that we noticed in Interesting Times. 3. Elizabeth points out that the October 28 Opposition (Awareness) between Mars (Action) and Jupiter (Expansion) is a culmination of the Cycle that was Initiated with the Triple Conjunction (Busy) of Mars, Jupiter, and Eris (She-Bear, possible angry) on May 1, 2011. In the context of Interesting Times, that’s just two days after Mars goes Outabounds (Strong), which suggest we should take a closer look before we get on the radio. The Cycle was Initiated at 23 of Aries, “A pregnant woman in a light summer dress.” Rudhyar just says “Fecundity” and “Masculine aggressiveness and the woman’s desire for fulfillment are integrated and realized in the expected child,” hinting that we shouldn’t be putting our Attention on the Gender Wars, but on what they will Create. If we’re curious about the impact of the Opposition, we can look to see what went down in the streets when the Square occurred. That was October 3, 2011. The Big News then? Zucchini Park, Occupy Wall Street, and the 99%. It is said that the Romans extended their Empire so far and long because they were deft at integrating their own culture with that of the Lands they Occupied. When we look back at the 1970s, as the sequel to the 1960s (which are now becoming permanent, eh? ), and with great respect to George McGovern, may he rest in peace, we can see the same process – that the US traditionally has been pretty good at integrating the culture of the Lands they Occupy. Certainly not overseas, fergosh sakes, but in North America anyway. It was Nixon that saw what he had to do, and ended LBJ’s Vietnam War, when he could have gloated over his lopsided victory by amping up the 1%’s agenda. Could we be implying that the Fascists and the Liberals may now start actually listening to one another? Let’s look at what else was going on “in the stars” when Mars-Jupiter-Eris initiated. A few days prior, Saturn Initiated Venus, at 19 Libra, “A gang of robbers in hiding.” Rudhyar’s take (written in the 1970s) on that Symbol? “Protest against disharmonic social privilege“! Amazing. The other interesting question that presents itself is, what about the Mars-Eris and Jupiter-Eris Cycles that also Initiated on Mayday last year? Mars Squared Eris on September 7, 2011, while Occupy was forming. Mars Opposed Eris on August 11, 2012, the day Rmoney named Dumbo as his running mate (hoo!). Jupiter-Eris is a 12-year Cycle, and this is the first new Cycle since Eris’s “discovery.” The Jupiter-Eris Semi-Square is the only significant angle formed so far, in mid-July 2012, in the heat of the LIBOR manipulation news. I hope no one’s insulted when I refer to Eris as the Primordial Feminine, when the Greek Eris was the Goddess of Discord. The team of astronomers who discovered Eris called her Xena (closer to a She-Bear) because she looked to be Planet X, and the original name suggested by the guy who found her (Mike Brown) was Lila – not so far from Lilith. But look at Uranus – Uranus is known for disruption. But what gets disrupted are the Ego’s patterns that no longer serve the Soul. Same with Eris – she’ll be producing great discord to the Old White Male culture. Us 99%ers will need to take care not to get between her and her cubs, and we’ll all have adjustments to make, but you always need to ask, from who’s perspective? If we see an Old-Testament World, we expect a Punishing God and punishing planets. But there are other choices that can be made, and those choices are pretty important to the New Paradigm that we’re all co-creating with each breath. Remember the old “Chinese curse,” may you be born in interesting times? If you know anybody getting born in the next month, pray for them. The “curse” doesn’t comment on how it will go for folks already born, but you might say a prayer for us too while yer at it. I actually find the various charts to be kinda promising, but certainly not dull. Lemme just list the play-by-play, and we can use the list as a map for future comments. So Mars will be Outabounds during the election in the USSA. Ceres (Sustainability/Sustenance) is Stationary (Strong for the prior week) Retrograde (Reconsider) on October 31 at 4 Cancer, “A Cat arguing with a Mouse.” Interesting metaphor. Ceres, remember, is the third pole of our ongoing Grand Trine (Big Grace) with Saturn (Focus) and Chiron-Neptune (Two Shiny Dimes), and the third leg of our T-Square (Mastery through Challenge) with Uranus and Pluto (terminal self-trust). We’ll come back to Ceres later in November. Mercury (Communication, Awareness) goes Outabounds (Strong for the duration) for a week starting October 31, until about 5am PST on November 6. November 6 is of course the US election, and we all know what October 31 is about, right? Samhain. End of harvest, start of serious preparations for Winter. The Veil thins. Then at 3pm PST on November 6, election day, Mercury is Stationary (increasing in Strength for the prior several days) Retrograde (Thinking about it). Lotsa folks writing about that. Notice that the Outabounds-Strong and the Station-Strong overlap, so we’re talking about Strong-Squared. I don’t think that guarantees good Communication, but strong Communication wouldn’t hurt nobody. Well, except maybe liars. The degree of the Station is “An old owl alone in a large tree.” Rudhyar’s take is interesting: “a clear perception of unconscious factors and their operation.” More on that later. Mercury spends most of November Retro and spans the Cancer portion of Scorpio and the Sadge-Cap portions of Sadge. If I had to put a word on that span it would Forgiveness. Then on the following Saturday, Neptune (our relationship with “God,” or anything larger than ourself, including our culture) is Stationary (increasing in Strength for the prior coupla months) Direct (okay, we’ve thought it over, now this is what we’ve come to believe). Notice that makes Neptune very Stationary during the election (and quite a ways before that). Remember what we like to say about a Strong Neptune? It represents Confusion when looking through Material Eyes, and Clarity when looking through Spiritual Eyes. Now Confusion, as we know, is the first step of Growth in Consciousness, if we don’t habitually shut it down with Fear or Anger. So Confusion isn’t the best place to be (that’s Curiosity), but it’s close. Or, you can just get metaphysical about it all – not a bad choice either. Then, a week after the US election, we get the big Total Eclipse of the Sun. I assume you’re all traveling to Cairns for that, as it’s a Life-Changing event to witness. More on that later. The following day, November 14, Chiron (Changing the Rules) is Stationary (increasing in Strength for the prior six weeks or so) Direct (Eureka! That’s the Solution!). Chiron is the messenger that literally shuttles between Soul (Uranus) and Ego (Saturn) and back again, thus representing major downloads that amount to virtual Walk-Ins (Change of Consciousness). The Moon also Occults Mercury on this day – that’s worth more discussion later. Don’t miss the Big Implication here – that the whole New Paradigm thing (Chiron-Neptune) is lit up bigtime all during the lead-up to the election, and all of the New-Paradigm Energy that’s been thinking it over since June, when they went Retro as Venus Walked Across the Face of the Sun starts gushing out. If yer jaw isn’t dropping at that, we need to talk. Not finally, but enough for now – Ceres (Keep on keepin’ on) goes Outabounds (Strong for the duration) on November 21, until mid-July of next year, crossing all of Cancer and half of Leo in the process. Now all that aint horrendous the way the dictionary wants the word used, but it’s certainly worthy of note. When I get time over the next week I’ll talk about why the whole business looks very optimistic to me. In a word, History and Herstory appear to be on our side, if we accept their Challenges. Manganotantalite is the crystal to carry (if you can find one) when you want your words to be understood as they are intended. Been a busy week. Lots to talk about, so let’s be cryptic. The New Moon chart is the birth horoscope for this year’s Scorpio month, so while it won’t tell all, it will still provide a major backdrop for the dramas of the next several weeks. where [X] is [Survive] or [Be Loved] or [Get what I want] or [Get bald and high] or [Get elected] or [You name it] or [All of the above]. You can see why Rmoney seems to be gaining ground – he’s clearly in the latter camp, while Obama’s in the former. No worries, this trend should have already maxed out this morning, though of course we’ll hear echos all month. The Ultimate Contest is about Integrity, and there’s no question who wins there. Or is there? If we think in terms of Yin Integrity, Obama looks rather inflexible. He’s a good example of Authority without Power. Sure, he does an excellent job of Father Knows Best, but where are the consequences? We’re dealing here with Jim Stark, not Wally Cleaver. Maybe Mr. WhoDoYouWantMeToBeThisWeek would be more masterful in that role. But no, I don’t think so. Yin Integrity is not about being somebody’s puppet, it’s about being True to One’s Soul. Even if you have the Soul of a Lizard. Rmoney does that only at private fundraisings. The 99% Movement seems to have flagged, but compare today’s tone to the Zeitgeist of a few years ago. Remember those videos of Jamie Daimon emerging from the White House with a swagger, or Lloyd Blankmind doing God’s Work twirling Congress around his little finger? A few years ago it felt as though the Lizards could easily drop their disguises and just run the Joint in their true form, and many of them were talking as if they were doing just that. It’s nothing like that now. There’s no real change in any of the laws or customs, but there is a real shift toward compassion and community and away from swagger and greed. Integrity and the Gender Wars actually fuel one another quite well here, as it takes chutzpah to stand up to all the pressure to be the way everyone else wants us to be and do what everyone else wants us to do. These Challenges are actually no match for the Big Grace that’s quietly but persistently building the infrastructure of Community for the New Paradigm, and this month we’ll see the She-Bears come forth without hesitation. That will last a lot longer than the impact of a New Moon. The flower is Campanula in a birdcage. 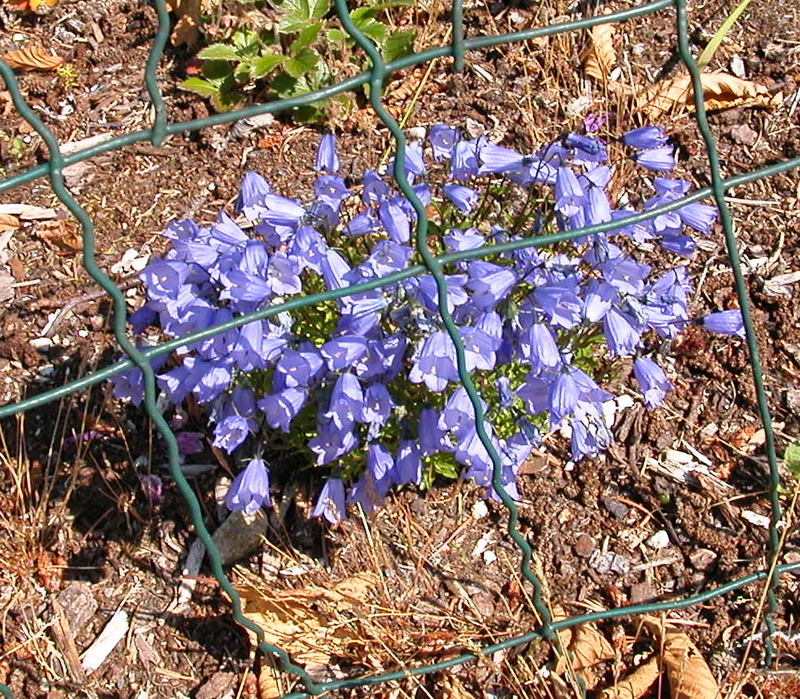 Campanula was created when Venus lost her magic looking-glass that reflected only Beauty. In retrieving it, Cupid accidentally shattered it, and Campanula grows wherever a shard has landed. You can see the birdcage two ways – as the prison that Doingness banishes Beauty to, and as the birdcage of our own Limiting Beliefs. The Mars-Juno Conjunction (Anger’R’Us) Opposed (Awareness) Lilith (Primordial Feminine) and formed a T-Square (Mastery through Challenge) to Chiron-Neptune (the New Paradigm) in the New Moon chart. But that Conjunction completed this morning, so its primary impact will wane. The Sabian Symbol (reading for the degree) of the Mars-Juno Initiation is funny – “A theatrical representation of a golden-haired Goddess of Opportunity,” aka in the common parlance a Gold-digger. Fits Rmoney to a T. And the rest of us, as we scramble to survive while the culture around us breaks up like the Yukon River in April. The funhouse mirror is also intriguing, as it usually is, because Lilith aligns with the Dragon’s Tail, or conservatism. But we aren’t talking about the same kind of conservatism that the Tea Party is. Ann Rmoney might be a good example of Power without Authority, but she’s no Lilith surrogate. The Dragon’s Tail is usually associated with Karma, but once we open our Karmic baggage, we find inside forgotten skills that we denounced under duress during our Karma-forming parallel. Emerging now are forgotten Primordial Feminine skills. The 99% Movement seems to have flagged, but compare today’s tone to the Zeitgeist of a few years ago. Remember those videos of Jamie Daimon emerging from the White House with a swagger, or Lloyd Blankmind twirling Congress around his little finger? A few years ago it felt as though the Lizards could easily drop their disguises and just run the Joint in their true form, and many of them were talking as if they were doing just that. It’s nothing like that now. There’s no real change in any of the laws or customs, but there is a real shift toward compassion and community and away from swagger and greed. The second element of Mastery through Challenge (T-Square) in the New Moon chart is between Integrity (Uranus), Transformation (Pluto) and Sustainability (Ceres). Trance(Re)Formation always involves a Death (of the old Ego), and Sustainability always involves Sustenance (as unsustainable excesses are eliminated). Trance Reformation always feels a lot worse than it really is. It feels like it’s life-and-death because it is – to the old Ego. Focus on the Rebirth. Integrity and the Gender Wars actually fuel one another quite well here, as it takes chutzpah to stand up to all the pressure to be the way everyone else wants us to be and do what everyone else wants us to do. The Mars-Juno Conjunction (What? Me, Aggressive?) corner of the New-Paradigm T-Square (as the incoming Primordial Feminine moves out the obsolete Old Male) Trines (Grace) the Uranus point (I gotta be me) of the Uranus-Pluto-Ceres T-Square (How the hell am I gonna get away with that!). The Trine facilitates an easy complementarity between them, although the result is often comic, as roles get switched – like Rmoney acting more traditionally feminine while purporting to represent the Old Male, and O’bama acting more traditionally fatherly while standing (however poorly on the institutional level) for compassion and community. These Challenges are actually no match for the Big Grace that’s quietly but persistently building the infrastructure of Community for the New Paradigm, and this month we’ll see the She-Bears come forth without hesitation. We’re still under the Grand Trine (Big Grace) between Chiron-Neptune (the New Paradigm, which is to say a big download – Neptune – of new perspectives that transform despair into Miracles – Chiron), Ceres (Does it grow Corn? ), and Saturn (focus, intention). Don’t forget that Saturn is in Scorpio (Let’s go straight to the root cause here), Pluto in Capricorn (Just Fix it! ), Uranus in Aries (You want me to do what? Don’t be silly!) and Chiron-Neptune in Pisces (Compassion). With Saturn and Pluto in Mutual Reception. And the New Moon occurred within a third of a degree of an exact Opposition (Awareness) to Eris (Primordial Feminine personified). That’s every bit as powerful in the chart as the Mars-Juno Conjunction that we led with. The flower is Campanula in a birdcage. Campanula was created when Venus lost her magic looking-glass that reflected only Beauty. In retrieving it, Cupid accidentally shattered it, and Campanula (Bellflower) grows wherever a shard has landed. You can see the birdcage two ways – as the prison that Doingness banishes Beauty to, and as the birdcage of our own Limiting Beliefs.